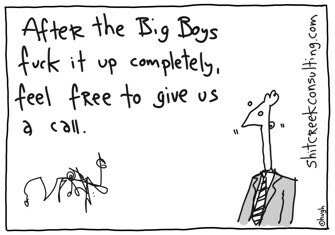 gapingvoid is giving away a free commissioned Cube Grenade to the business or organization with the most interesting idea. I draw Cube Grenades for a living. They’re quite expensive. Several thousand dollars a pop, sometimes ten grand or more. Not everybody can afford one. Cash is tight. That being said, every month I get dozens of requests from start-ups, small businesses, and non-profits for commissions, asking for free or nearly free work. 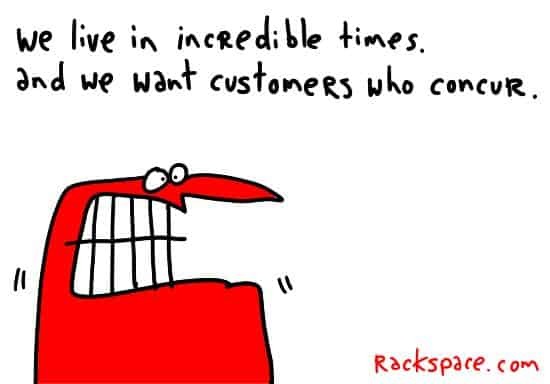 Occasionally I’ll do a pro-bono one for the right cause, or a good friend, or because I just love what a business is doing, but 99% of the time, I just have to say no. The truth is, there are a huge number of really cool start ups, small businesses and charities doing worthwhile work and fabulous people whose cause could be transformed by a CG, but just don’t have the cash it costs to have one. What’s so special about these Cube Grenades? Sure, they’re great social objects, but they have another purpose: They’re amazingly powerful tools for a company trying to engage in what many call “Cultural Transformation”. You change markets in your favor by changing the culture- either your own company culture, or the culture of the industry you’re in. In my world, that’s where the REAL opportunity lies. That’s the change I want to help affect. 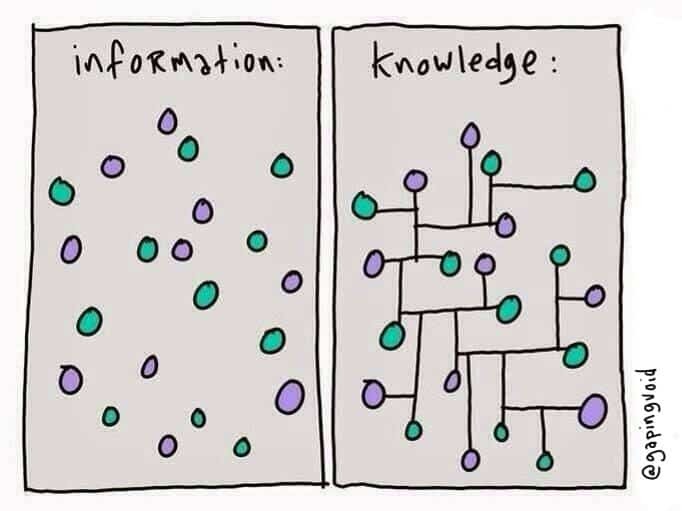 That’s where I think my cartoons can be the most useful and valuable. So I decided, what the hell, I’ll do one for free for somebody, a small business, a worthy cause. Spread the love etc. Tell you what. If you want me to draw a cube grenade for your business, write a blog post about it, leave a link to it below in the comments, and/or submit it to Tumblr at the same time. Then let us put your idea up on the Tumblr page we created specifically for this [Please keep it under 500 words, Thanks]. I’ll draw a free cube grenade for the person who has the most compelling cause. This offer will expire Auguest 1st, and I’ll be talking about some of cooler posts here and/or our Tumblr page, so please get cracking. I’m in. Thanks for a great opportunity. I’m in. Boy do I ever know a cause that could use a cube grenade. Have submitted, have posted. And yes, thanks. This is an awesome and generous way to promote what your cube grenades can do. Color me there!!! Just entered. Even if I don’t win, it’s good to have a place to formalize what I’m attempting to do. 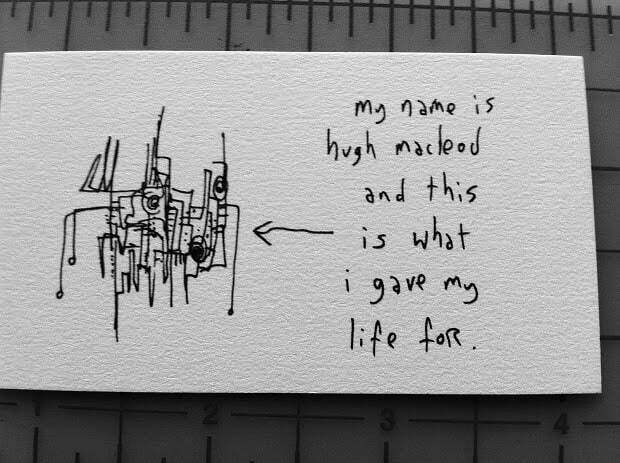 Thanks, Hugh. 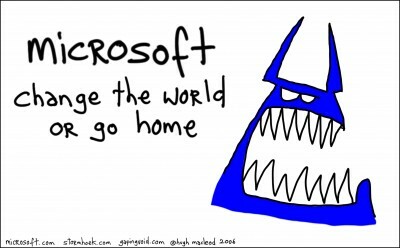 and makes me very glad that I don’t work in a corporation (or a cube) anymore. I am curious… we have a great idea/cause that would benefit from $10KK — but I think the ‘prize’ is the cube grenade, WORTH $10K, correct? I would also like to throw my hat into the ring, hope it fits 🙂 Here it is. Hey, i am the admin of donatecarforcharity.org .Thank’s for sharing this info.This is very helpful and informative material.Good post and keep it up dude. Thanks for making this available, love your work! Being disappointed of traditional business schools (specifically MBAs), I’d like to suggest this non-profit: http://tumblr.com/xzqbfvon1 (link to an overview of the manifesto). A Cube Grenade for “Creating the Future” would absolutely be a cherished gift. Thanks for the opportunity, Hugh! Eep! You’re right, I completely forgot to comment here. And to check back. Until now. GoFi.sh is the rockstar way to get the best deals & advice on products and services by leveraging your social networks and location aware devices.